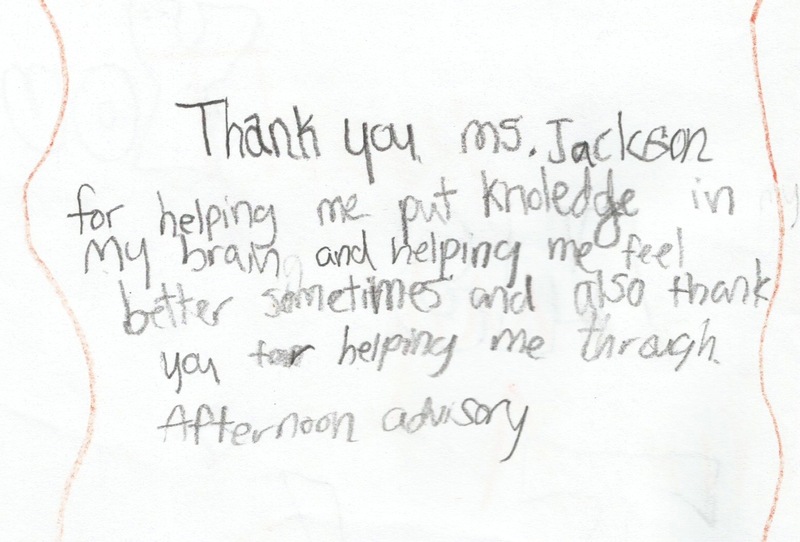 Thank you, Ms. Jackson, for helping me put knowledge in my brain, and helping me feel better sometimes, and also thank you for helping me through afternoon advisory. This entry was tagged education, encouragement, gratitude, growing up, middle school. Bookmark the permalink.